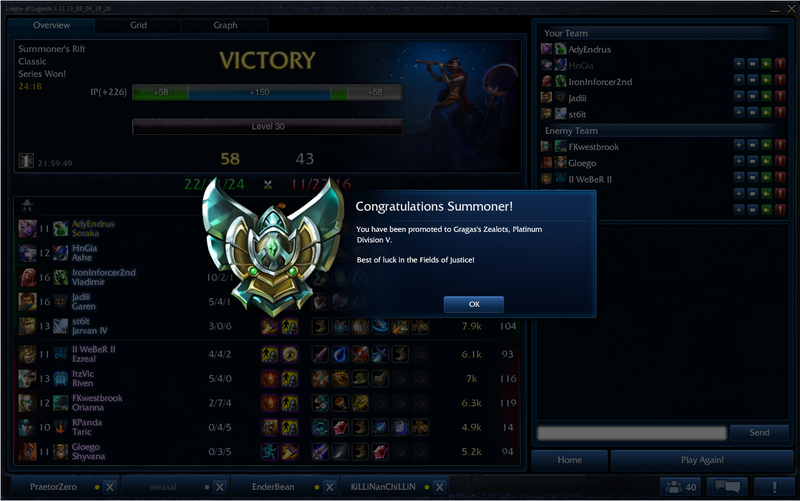 I was so close to promotion I could almost taste it. I knew that if I won one more game I would be in my qualifier. However, it felt like everyone was trying to win this game. I always hate it when the other team tries to win. It really warps my chances at winning. We’re pretty sure that Zed is the most broken champion in League of Legends right now. He farms so easily and so safely. His damage scaling is completely ridiculous. His mobility is insane. I feel bad for the other team when I get a Zed on my team. The best is when they talk trash after all they did was farm and press R on people. I remember good ol’ days in mid lane of out-playing my opponent before level six. The game has changed. The fact that we won this game was nothing short of a miracle. 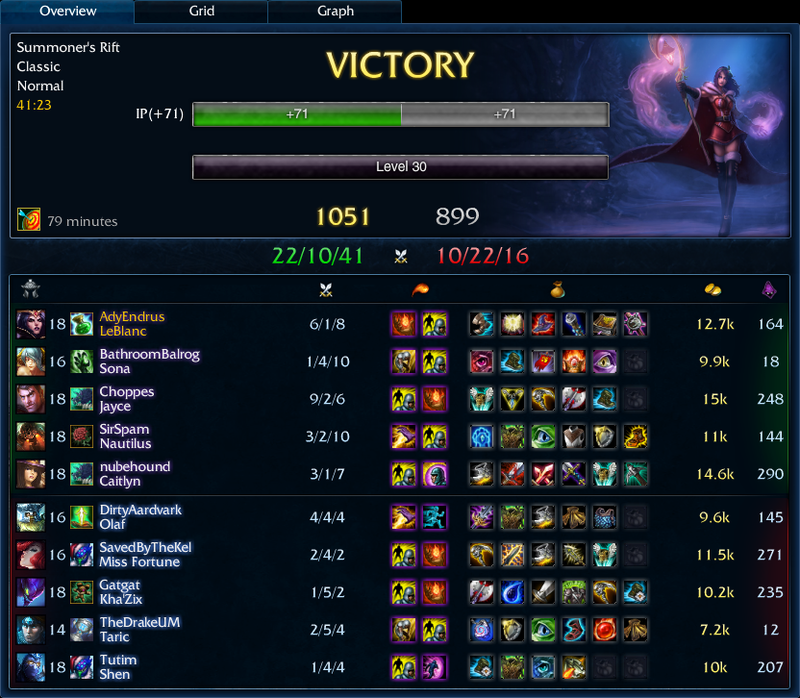 The game went long enough for Zed and me to get to six items. Once that happened we were able to win some amazing team fights and push to win, despite being down in kills and being down almost double in assists. In my first Promotion Series game I decided to go with Ezreal again. The Trinity Force felt really good on him. I was looking forward to giving it another go. This win was mostly Sejuani’s fault. 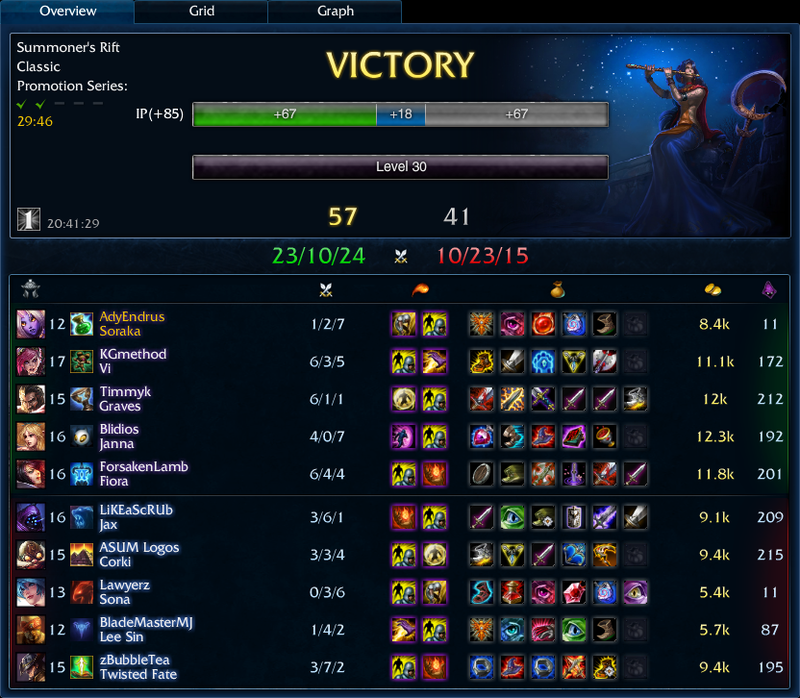 Sejuani and Shen were a duo queue. Shen ran Teleport. It was the nastiest combo you’ve ever seen. Sejuani ult would lock up a lane after they saw the Shen Teleport coming in. Then we would have 4-5 people standing in that lane raining on the enemy team’s parade. 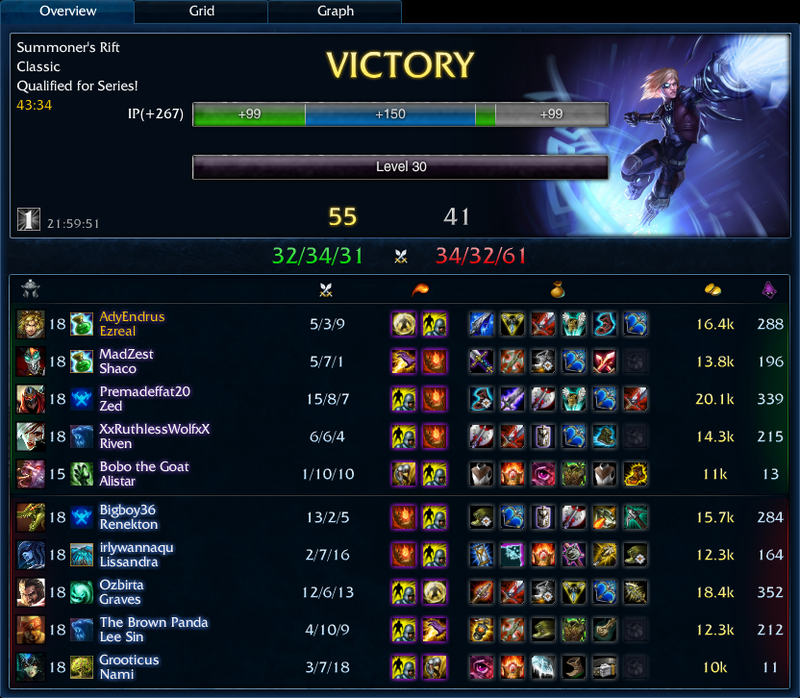 This was especially effective because Zyra and Caitlyn were just trying to push me under my turret. This resulted in them over-extending in lane. Sejuani would hit Caitlyn once and I’d watch her evaporate. I could hear QTpie in my head saying “DELETED”. We were able to play relatively safe. Normally when your raid boss dies they will rage at the team and blame them for not doing what they were supposed to or something. When this Sejuani died I think they admitted that they were caught by the enemy team and apologized. 6-1, you’d better apologize! I just realized that the Shaco we had on our team in the game before was the Nocturne in this game. Small world! 21 minute wins are the way to go if you’re trying to rip through a Promotion Series! 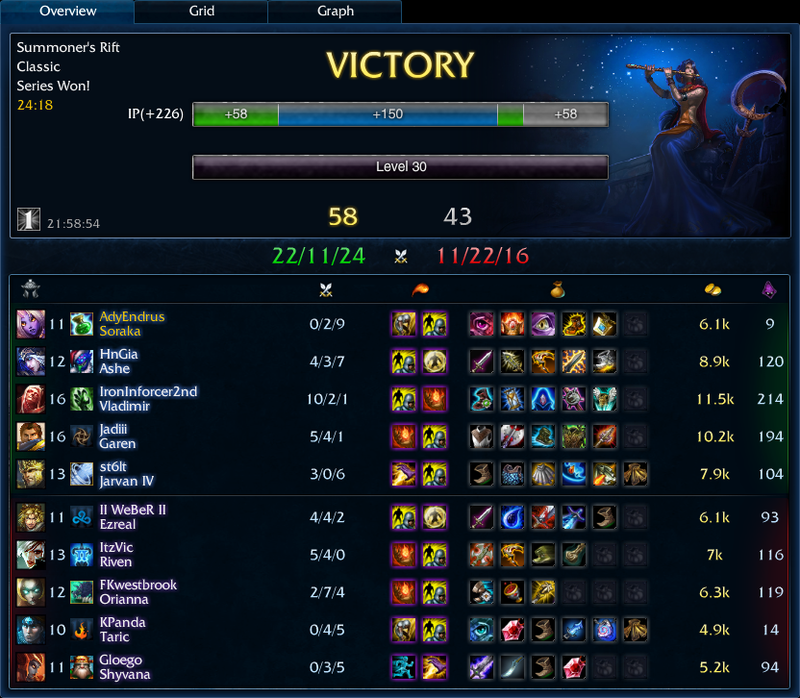 This Janna was really great. I added him after the game just to tell him that he did a good job. You don’t get supports who are as competent as this one every day. It was a rare occasion. Thanks again, Bargaincrate. We’ve all experienced this guy, but this story actually covers two games. 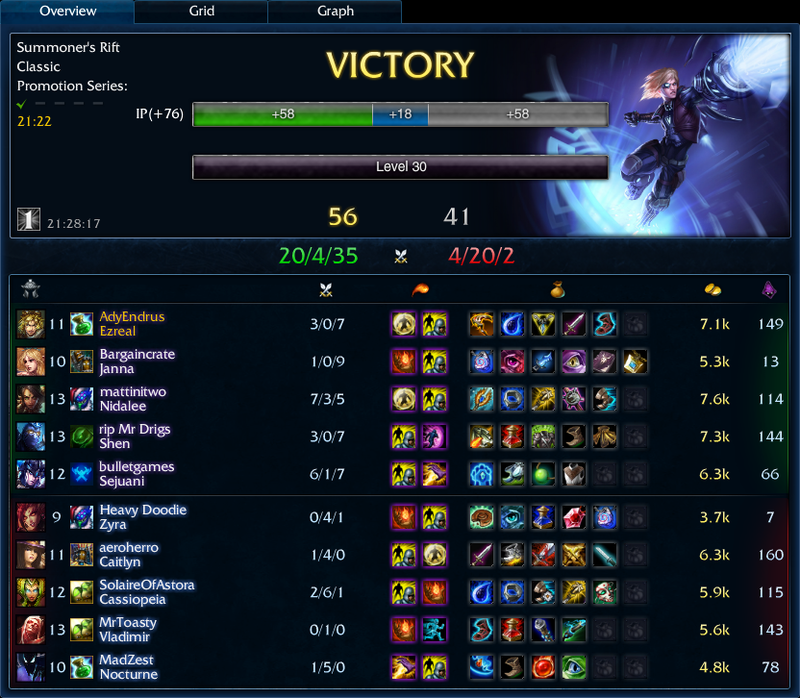 I had just played as Tristana in a game where my support decided to suicide at level one to the enemy bot lane. After he died, I got zoned from creeps and had to recall. Level one, two cs, lost lane. 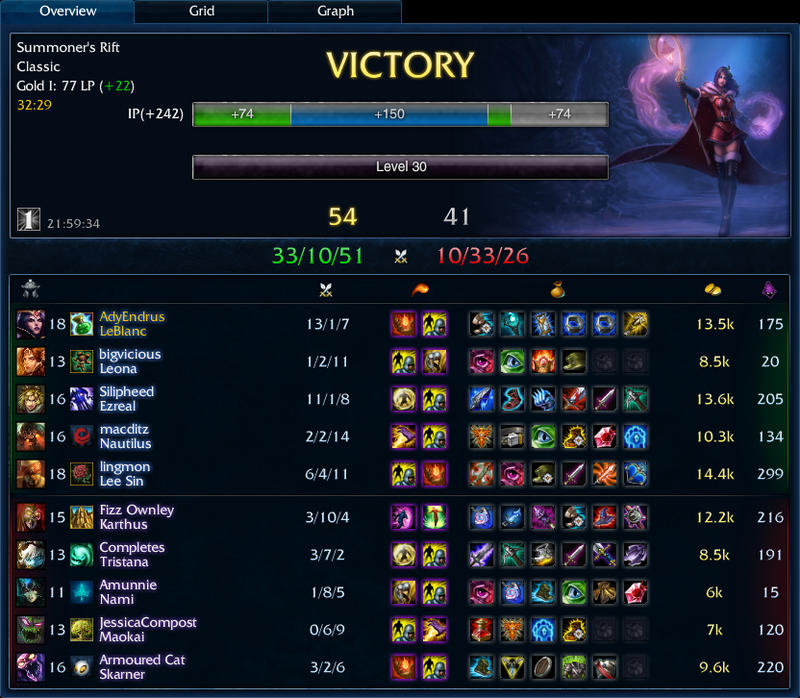 When the game went late I was forced to deal with a legendary Irelia and Akali on the enemy team. My team decided to chase the enemy Twitch, who didn’t even have a bounty, through unmapped and unwarded territory. Unsurprisingly, my entire team died, and left me to defend the base against five fed champs. Then I get blamed for the loss. 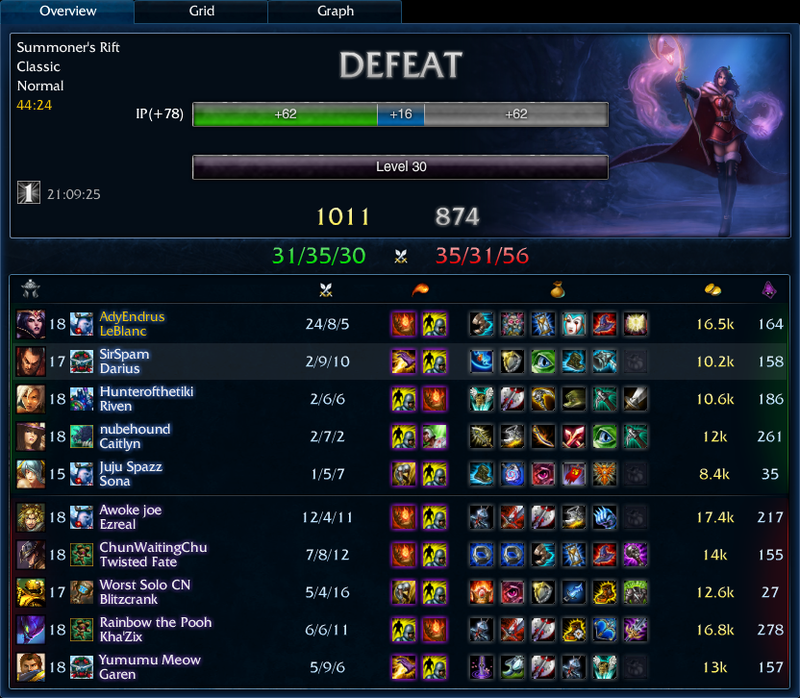 That’s fine, I’m hardly losing any LP at all for losses. The people on my team deserved to lose, and they lost. Let’s move on. I get back into queue, and my feeding support from last game is on my team. That solo queue troll has returned. There is no feature to ignore in champion select. I have to listen to what this kid says. He calls support again. The largest problem for me is that he’s actually bad at playing support. He doesn’t know how to help the ADC last hit under turret. He didn’t ward properly. 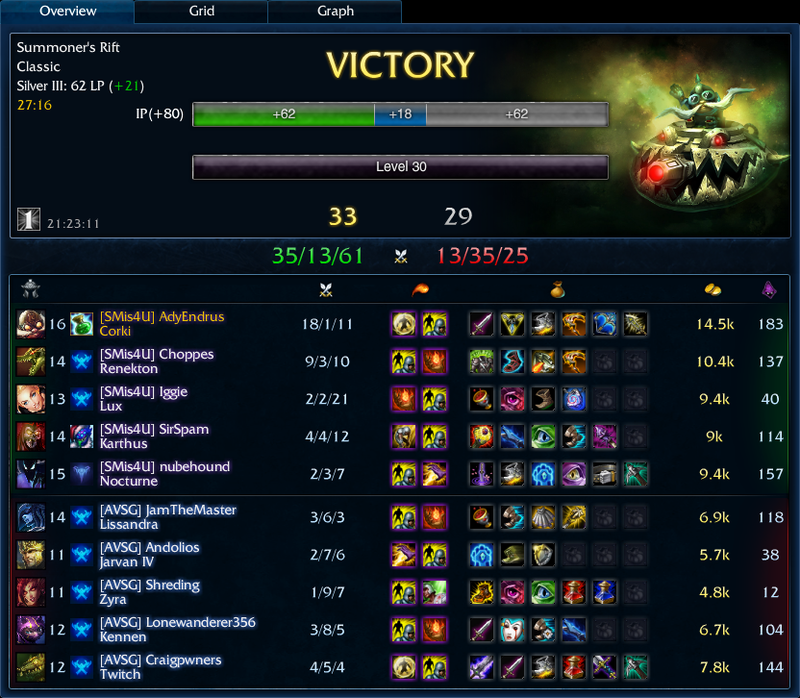 He didn’t do anything to help me win bot lane, not to mention survive in bot lane. Now he wants to play support again? Great. Well one thing is for sure, I’m not playing in bot lane with him. I choose LeBlanc with my first pick and lock in. The enemy team countered with Karthus. Karthus can have a huge impact on a game if it goes late. His damage just scales well and is hard to avoid. This Karthus chooses to run the Phant0ml0rd Karthus strategy of Revive and Teleport. This let me be a huge lane bully. I died early. It was a tad embarrassing. I committed to fighting Karthus behind his creeps. It was a mistake. My burst wasn’t quite enough to finish him off, and my jungler wasn’t nearby so I shouldn’t have been picking a fight. Lesson learned. I was still 1-1-0, but felt dumb for having that death on my record. The game progressed and I started roaming. I was everywhere on the map. I was picking up kills and assisting with kills in all lanes. We could dive any champion, any situation. Skarner was a threat because his ultimate could lock someone down, but he didn’t have enough damage to be relevant, and he wasn’t tanky enough to prevent me from hurting him either. Eventually the announcer was screaming “Legendary!” and we were rolling to a 33-10 lead. There was even a play that Leona made that I complimented because they were in the right place at the right time. While we didn’t get a kill out of the deal, it was still good positioning for sieging. I didn’t have any amazing jukes in this game. I had some narrow escapes, but my Zhonya’s was enough to save me in a couple of sticky situations from Karthus and other damage sources. We had the chance to play some ranked fives this past week and I opted to build Trinity Force on Corki. I hadn’t played Corki in quite a few months just because he had fallen out of favor with the meta gods. However, this game he felt completely dominating. We opted to run the AD carry and support in mid lane. We have wanted to get better at keeping the carry in the short lane to allow us to zone the enemy, catch people off guard, and farm safely. We honestly hadn’t seen much success come from it, but we want to keep practicing it because it could give us the upper-hand if people aren’t expecting that meta. 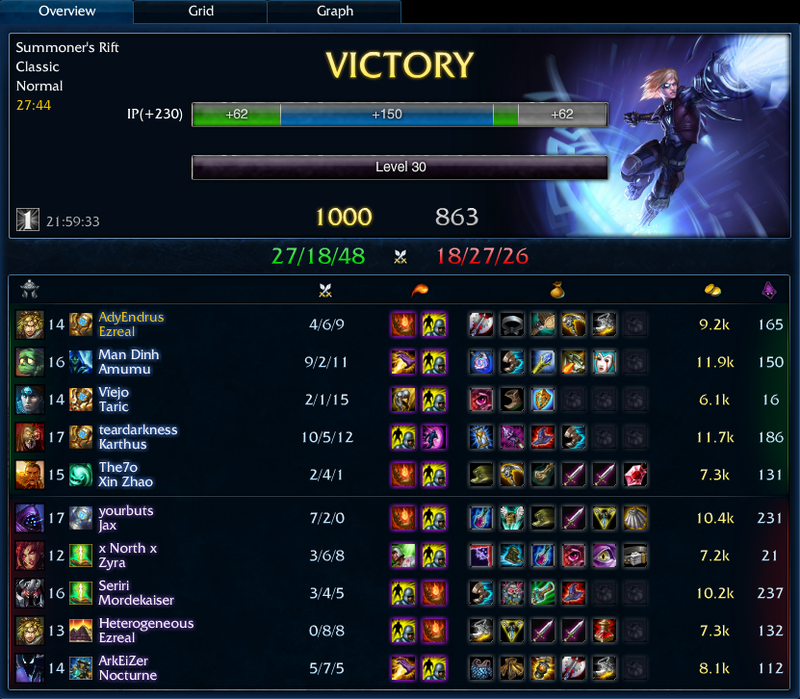 This game was Lux and Corki against a Lissandra. Lissandra must have thought that I was AP Corki based on the items she built. I didn’t jump out to a ridiculous lead, but thanks to some effective ganks from nubehound and some amazing snares from Iggie we were able to get me a few kills in mid lane. Eventually I did get shut down after I had six kills. I was shocked that I was actually that far ahead. I had a lovely play after dueling the enemy Lissandra in bot lane. I returned to base after a Dragon, and came right at the end of a bad team fight. The best I can do is embed the entire game, and tell you to jump to 27:10. After that triple we stopped the enemy team from getting Baron and just chased them into their base to finish them off. After a valiant chasing effort by the entire team, Choppes managed to Slice and Dice to finish off Twitch! What a ridiculous score for a ranked game. My Corki stats are so good this season. Now I won’t be able to play Corki again until the season is over.